Hosted by the John Glenn College of Public Affairs and Ohio women legislators to recognize the future of women's leadership in Ohio. Women of Power brings together the next generation of women in elected office with women currently serving in elected office throughout Ohio. The Women of Power reception benefits the Glenn College nonpartisan leadership programs that educate and empower Ohio women ready to run for political office and be leaders in their communities. 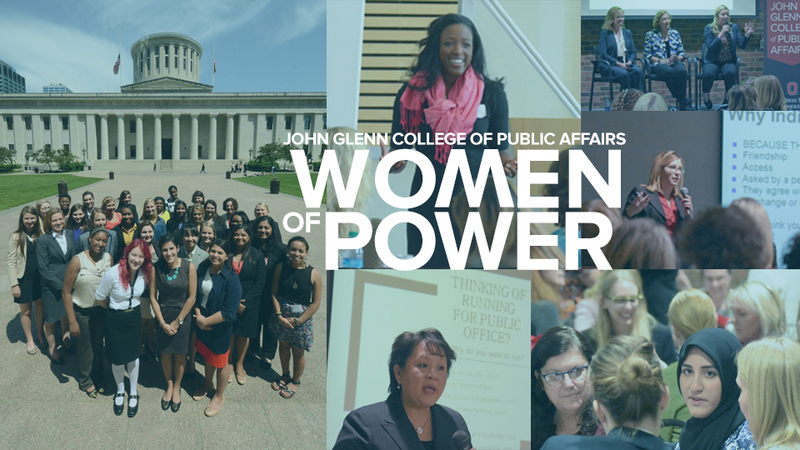 Women of Power is a fundraising reception to benefit the John Glenn College of Public Affairs’ nonpartisan leadership programs for Ohio women. Sponsorships are currently being accepted for Women of Power 2.19.19. Please click the Register button below and choose sponsor from the registration types to complete your sponsorship. General registration for Women of Power 2.19.19 will open on January 1 and close on February 15.